It’s time to take your workouts to the next level. CrossFit, which combines elements of Olympic weightlifting, gymnastics, and high-intensity interval training, is the perfect way to get yourself in shape. If you’re serious about your fitness, CrossFit will get you to your goal. From Albany to Goshen, here are the 10 best CrossFit gyms in New York. CrossFit Beyond in Albany has nine different trainers you can work with. They offer regular structured classes Monday through Saturday and have open gym times on Monday. Saturday, and Sunday. You have the option of getting a one-month, three-month, or six-month membership for $135, $370, and $610 (respectively). Railroad CrossFit has four trainers you can work with that each have requirements for different types of physical activity. Railroad offers group classes, personal training, kid’s fitness, Longevity in Function Efficiency (LIFE) classes, and teen strength and conditioning. They have a power hour once a week every week, where you can drop in for $20 and do a 15- to 25-minute workout at your own pace. 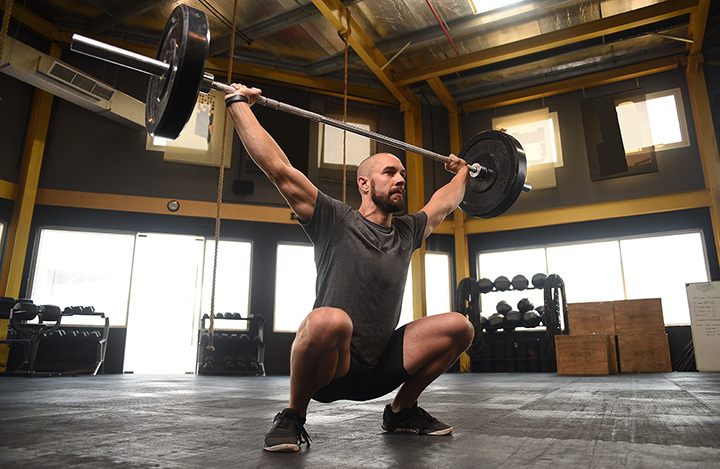 CrossFit Orange offers a free one-week trial for newcomers where you’ll do a fitness assessment with one of their trainers, go over CrossFit methodology, and get a tour of the facility. You’ll be scheduled with a trainer for two additional classes that week, allowing you to work with a trainer in a CrossFit class setting. CrossFit Metropolis has been helping New Yorkers get fit since 2009. They have a free intro class every Saturday at 12:30 p.m., which means you’ll have a chance to check it out and see if it’s right for you before committing. They follow the classic-style CrossFit programming, meaning their workouts are simpler and more varied than other gyms’ may be. CrossFit Westchester aims to improve your quality and longevity of life (mentally and physically) through fitness. They offer CrossFit, endurance, gymnastics, mobility, weightlifting, CrossFit kids, burn, personal training, individual program design, individual accessory work, and nutrition and macros coaching options. CrossFit Westchester has one-, six-, and twelve-month unlimited plan options. Cow Harbor CrossFit adheres to the basic principles of CrossFit while developing their own ideals and values that will help you be successful. They offer free classes weekly for people interested in trying one before committing to the gym. Membership pricing starts at $200 for their month to month unlimited option. CrossFit Mohawk Valley offers traditional classes focused on general physical preparedness. They’re the only gym in the area that has two coaches on staff for a majority of their classes. Each class consists of a coached warm-up following by a skill/strength section and then conditioning. Movements, reps, and weights will be discussed and explained to you if you aren’t familiar with them. CrossFit Ascend focuses on community with a touch of lifelong fitness, health, and nutrition. They push you to be your best and use the same programs regardless of your age or fitness level (though they do scale load and intensity). Ascend has at least 14 different fitness options you can experience, including kettlebells, swimming, dead lifting, squats, pull ups, rowing, running, and biking. Canandaigua CrossFit is the area’s first CrossFit affiliate. They have access to scenic running routes along Canandaigua Lake, which they often incorporate into their workouts. The coaches are highly qualified and committed to helping you find a plan that works for you, whether it’s through personal training or group classes. Lumber City CrossFit is a community-based gym and training center. They have programs for all levels, as well as chiropractic care and nutrition services. Drop-in classes are $20 each, and membership options start at $50 for the one-week unlimited plan. You can also pay for an unlimited monthly plan, or they have options for eight classes per month and twelve classes per month, depending on your interest.